7:00 Open Mic, Golden Moments, Closing Circle. HangOut,USA June 12th-15th, 2014 Gates Open at Noon on Thursday June 12th. The gathering ends Sunday night, June 15th. You are welcome to stay with the caveat that you respect quiet time and are packed up and driving away no later than 10am Mon. morn, June 16th. Given the caliber of performers and the diversity of styles, we need more time for performance! So we are choosing to add in performances on Thursday night. 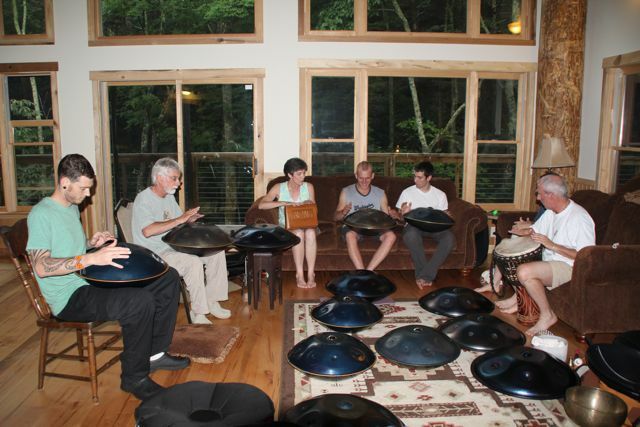 There is never enough time when we gather for performances, and this year since we are actively building a bridge between the professional world percussion circuit and the handpan scene, we have scheduled in more time. We have invited David Kuckhermann as well as River Guerguerian, Adam Maalouf, and Nacho Arimany, all of whom either are already active or pursuing the handpan as a part of their repertoire. 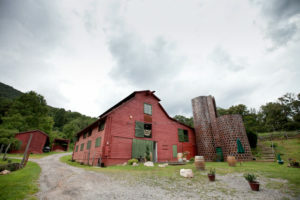 We hope to support them on their quest to apply their current array of skills to the steel vessel that we all love, and we look forward to seeing how they influence our genre from angles of technique, improvisation and experiential application of deep listening. The entirety of the weekend is a journey into the magic of HangingOut and sonic and rhythmic saturation. We are sculpting our schedule of Performances, Classes, Meals, Meet and Greets, Ceremonies, PANel Discussions, Tone Field Jam Sessions and more. We imagine posting a schedule in April and as things become more clear, we will make updates. Open Mic Circle on Sunday evening as well as short open mic sessions at other times during the weekend.